You do not have to be an adult to be interested in playing a dark elf or a drow. 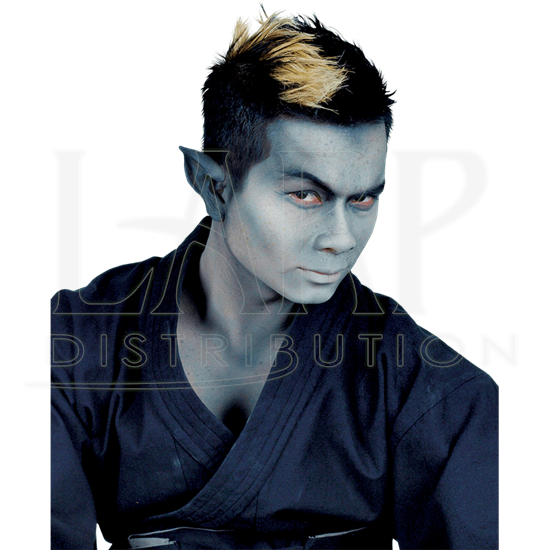 The Epic Effect Small Dark Elf Ears Prosthetic is the perfect way to let even the younger generation craft their own dark elf look and style. Made from high-quality latex, these prosthetic ears feature realistic details. Unlike typical elf ears, which sweep upward to a point, these ears sweep backward, creating a distinctive look. 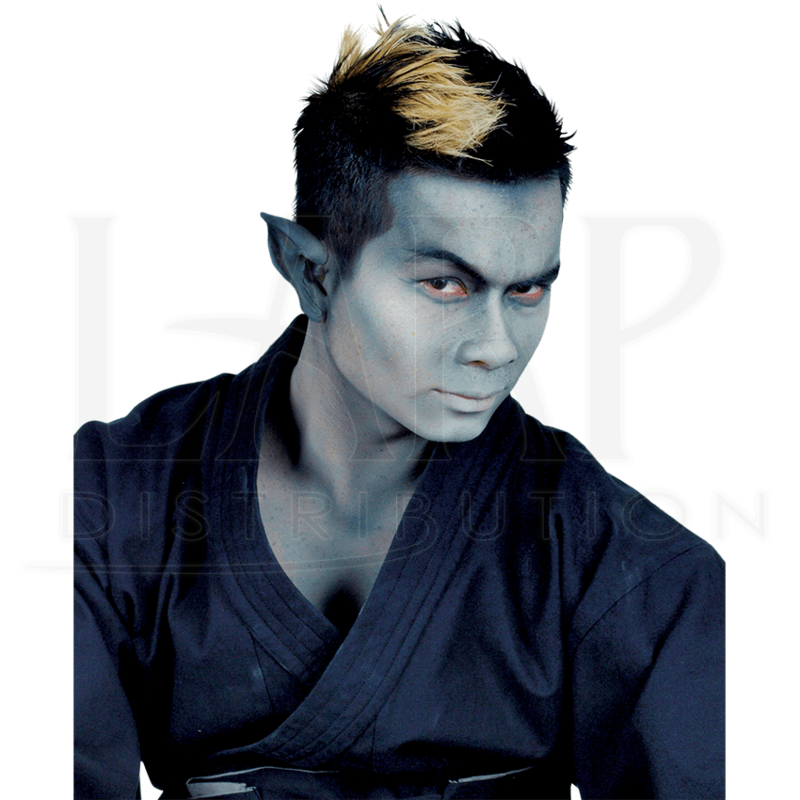 These pointed ears possess a dark shade that blends well with the deep blue skin tones of the drow. This Epic Effect Small Dark Elf Ears Prosthetic allows the younger generation to create a fantasy character that is entirely their own, giving them a unique look for LARP, film, stage, Halloween, and more. The ears are designed to be applied using our Epic Effect Mastix Spirit Gum (MCI-2273), which will adhere the prosthetic to your skin, while it can be easily removed later with a bit of Epic Effect Mastix Spirit Gum Remover (MCI-2274). Please note that they do not include mastix spirit gum or spirit gum remover. For the best results, clean the area with spirit gum remover, then apply the prosthetic and blend it with an appropriate shade of our Epic Effect Water-Based Make Up. Properly cared for and removed, these prosthetic ears can be used multiple times. Sorry, but there are no returns or exchanges on opened prosthetics.